Mercy Hospital has been an important of the South Florida healthcare system for nearly 70 years. Since 1963 the Miami personal injury lawyers at the Wolfson Law Firm have represented both people injured at Mercy Hospital and people who were treated at Mercy Hospital. The Miami offices of the Wolfson Law Firm are mere minutes from Mercy Hospital. 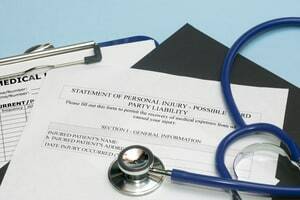 If you were injured at Mercy Hospital or treated at Mercy Hospital for injuries you received in any kind of accident, then you should reach out to the Mercy Hospital accident lawyers at the Wolfson Law Firm for your free consultation. Just call us at 305-285-1115 and let us help. Mercy Hospital is a Catholic Hospital located in one of Miami’s oldest neighborhoods. It is located at 3663 South Miami Avenue in the Coconut Grove neighborhood in Miami on Biscayne Bay. It was first opened in 1950. Mercy Hospital proudly wears its Catholic identity, stating that it provides both excellent medical care and a faith-based focus on caring for its patients. Mercy Hospital is part of Catholic Health East, a healthcare system that was recently changed to Trinity Health, following a merger in 2013, according to Modern Healthcare. If you or a loved one were hurt at Mercy Hospital, then you are strongly advised to call the Mercy Hospital Accident Lawyers at the Wolfson Law Firm in Miami. There is never any type of obligation and your consultation is free-of-charge. There is never a fee unless you recover. Call us at (305) 285-1115 and speak with a Mercy Hospital accident and injury attorneys today. 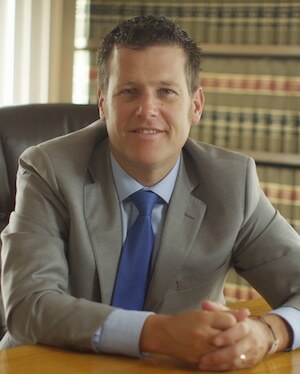 At the Wolfson Law Firm, our personal injury and wrongful death attorneys in Miami are here to help you. Our managing trial attorney Jonah Wolfson is a bilingual personal injury lawyer who serves Miami, Coconut Grove and all of South Florida. All you have to do is call us at (305) 285-1115 so you can get the answers and justice that you are entitled to. The Miami accident lawyers at the Wolfson Law Firm serve the people of South Florida in the communities and neighborhoods of Kendall, Kendale Lakes, Hialeah, Miami Lakes, South Miami, Coconut Grove, Homestead, Florida City, Coral Way, Coral Gables, Doral, Liberty City, Miami Shores, Miami Beach, The Hammocks, Tamiami, Westchester and Aventura.